Rajiv Ratna Gandhi – India’s Prime minister from 31st October 1984 to December 2nd 1989 – was assassinated at Sriperumbudur in the Indian state of Tamil Nadu exactly twenty – five years ago on May 21st 1991. 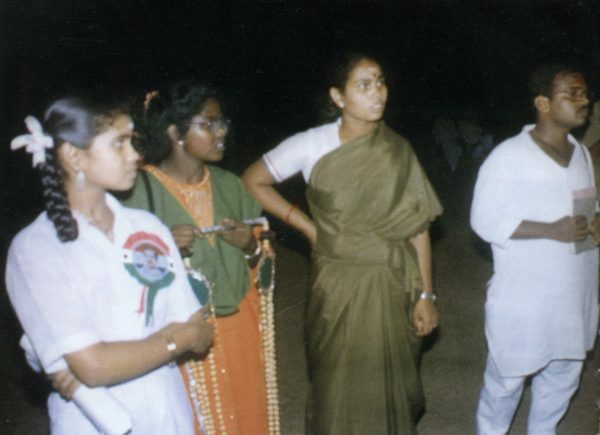 Rajiv Gandhi as he was generally known was in Sriperumbudur to address a propaganda meeting in support of Congress party candidate Ms. Maragatham Chandrasekhar. The 47 year old Indian ex – premier was then immersed in a hectic political campaign to win the Indian Parliamentary elections. It was then that a Sri lankan Tamil girl known by the name of “Dhanu” got close to Rajiv Gandhi and gave him a sandalwood garland. The be – spectacled girl in an orange and green churidar then bent down respectfully to touch Rajiv’s feet. She set off a concealed explosive device that was strapped to her body. Rajiv Gandhi, the assailant Dhanu and at least 18 others were killed in the blast instantly. 42 were seriously injured. A few of the injured also succumbed to their wounds in hospital later on.The “human bomb” assassination that was soon to become a hallmark of the Liberation Tigers of Tamil Eelam (LTTE) organization rocked India and shocked the world. In a singular decisive act the LTTE had murdered on Tamil Nadu soil a former Indian prime minister hailing from India’s most famous political first family. 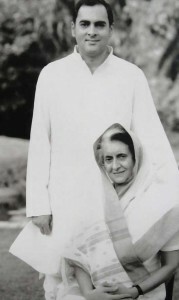 Rajiv’s mother Indira Gandhi had been Prime minister of India from 1966 to 1977 and 1980 to 1984. Rajiv’s maternal Grandfather Pandit Jawarhalal Nehru became Independent India’s first prime minister in 1947 and remained at the helm for 17 years until his death in 1964. Rajiv’s great grandfather Pandit Motilal Nehru was a leading lawyer who played a prominent role in the Indian freedom struggle against Britain. Rajiv’s father Feroze Gandhi (No relative of Mahatma Gandhi) was a “Lok Sabha” MP from 1952 till his demise in 1960. A few years after Rajiv’s death, his Italy born widow Sonia Gandhi entered active politics and took over the Congress party leadership. She also became a MP but declined to assume office as Prime minister.Though Manmohan Singh was her nominee as Prime Minister it was well known that Sonia Gandhi was the power behind the throne during Congress rule. Rajiv’s son Rahul Gandhi too entered politics some years ago and was elected MP. 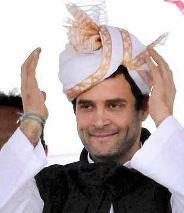 He is widely tipped to be appointed premier if and when the Congress party captures power again. Apart from this Rajiv’s politically estranged sister – in – law Maneka Gandhi and her son Varun Gandhi are also Members of the Indian Parliament – Lok Sabha. Maneka the widow of Rajiv’s younger brother Sanjay is currently the minister of women and child development in the BJP Govt of Narendra Modi.It could be seen therefore that the Nehru – Gandhi family is arguably India’s most powerful political dynasty. Yet , the LTTE led by its ruthless supremo Thiruvengadam Veluppillai Prabhakaran had absolutely no qualms about daring to assassinate a person of Rajiv Gandhi’s political stature in India. As is typical of Prabhakaran and the LTTE, the assassination was perceived as a “militaristic” feat alone without much thought about its political fall-out or possible repercussions . The tigers were absolutely unconcerned about resultant effects affecting the Sri Lankan Tamil people. In the immediate aftermath of the assassination , I wrote an article for the Indian newsmagazine “Frontline” , in which I observed that if the LTTE was indeed responsible for the assassination then the losers in the long run would be the Tamil people. Subsequently it was proved conclusively that the LTTE was indeed responsible. The consequences of the Rajiv Gandhi assassination continued to be felt by the Tamil people in general and the LTTE in particular right up to the shores of “Nandhikkadal” lagoon in May 2009. Now the torrential downpour has ceased but the drizzle is not entirely over. The politico-military chutzpah of the LTTE in deploying an assassination squad across the seas to eliminate a former and potential future prime minister of the regional super power on his home turf, raised many an eyebrow after Rajiv Gandhi was murdered. The Rajiv Gandhi assassination committed on Indian soil was an act of international terrorism that placed the LTTE on the index of global terrorists. Many security affairs analysts have in the past evinced great interest in how this assassination was executed and who was directly responsible. The decision and overall plan to assassinate Rajiv Gandhi was taken by LTTE leader Veluppillai Prabhakaran and tiger intelligence chief Shanmugalingam Sivashankar alias “Pottu Ammaan”.The actual assassin who blew up her explosive –laden body belt was the girl called Dhanu.However there also had to be one or more persons directing operations in the field.Who? The LTTE operative who devised the assassination blueprint and directly oversaw its execution at field level was an intelligence wing member of the LTTE who used two nom de guerres. One name was Raghuvaran.The other was Sivarasan. Since he had lost an eye, he was frequently called by his comrades at arms and colleagues as “Ottraikkannan” (One –eyed person). Sections of the Indian English media referred to him as “one –eyed Jack”, evoking memories of the classic western movie directed by Marlon Brando who also starred in the lead role. Sivarasan was specifically selected and assigned the task of killing Rajiv Gandhi by Prabhakaran and Pottu Ammaan. Who or what sort of person was this one-eyed Sivarasan who masterminded the assassination of Rajiv Gandhi? After an intense 90 day manhunt , Indian law –enforcement officials surrounded the house in which Sivarasan along with some other LTTE cadres was staying in. It was a house in the Bangalore (now Bengaluru) suburb of Konanakunte in Karnataka state. Sivarasan and the others consumed cyanide and killed themselves before they could be captured alive. Ironically Sivarasan who masterminded Rajiv’s murder committed suicide on August 20th which was the date of Rajiv Gandhi’s birth. 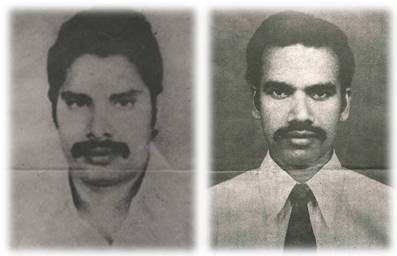 In the aftermath of the assassination, there was much interest in India and elsewhere about Dhanu the human bomb and one –eyed Sivarasan the mastermind behind the killing. The questions echoing in the minds of many people were “Who was this Sivarasan? and “ What was his real name and background? I was then editing “Senthamarai” a Tamil weekly in Toronto. I was able to compile a brief life-sketch of the one-eyed mastermind through telephone interviews with close relatives, schoolmates, former residents of his hometown Uduppiddy and ex-comrades of Sivarasan from various militant groups . The article written in Tamil was first published in “Senthamarai”. Subsequently I wrote an article in English along the same lines for “Frontline”in English which caused a sensation in India. This resulted in Indian security officials approaching me through the Royal Canadian Mounted Police(RCMP) for an interview on the subject. I respectfully declined saying that I had written all what I knew openly under my byline and that I did not want to go beyond my journalistic brief. The RCMP accepted my position and there was no interview with Indian officials. I shall now in the first part of this article focus on the mastermind behind the Rajiv Gandhi assassination relying to a great extent upon the piece I wrote nearly 25 years ago on One –eyed Sivarasan. The one –eyed man known as Sivarasan used many aliases, including Sivarajan, Rajan, Rajah, Arumai, Aravinth, Raghuvaran, Raghu and Raghu-appah. His real name however was Chandrasekharam pillai Packiachandran. He hailed from Udupiddy, a town about 32 km from Jaffna city and about 3 km inland from coastal Valvettithurai the hometown of Prabhakaran and cradle of Tamil armed militancy. Packiachandran’s father was Chandrasekharam Pillai, a teacher of English at the Udupiddy American Mission School, a leading educational institution in the area. Chandrasekharam Pillai was a native of Udupiddy and lived in the northern part of the town near the Veerapathirar Temple. The family’s postal address was Verapathira Koyiladdy Vadakku or Veerapathiran Temple, North Area). Packiachandran’s mother Sivapackiyam was originally from Nunaavil in the Chavakachcheri area of Jaffna peninsula. Packiachandran was named after his parents, taking “Packia” from his mother’s name, Sivapakiam, and the “Chandran”from his father’s Chandrasekharam. Packiyachandran was born in 1958, the year of the first major anti-Tamil pogrom in Sri Lanka. He was the eldest child and had three brothers and two sisters, all younger to him. Packiachandran’s social origins are interesting. He was neither a Vellala, the numerically dominant caste in Jaffna, nor a Karayar, a numerically smaller caste heavily concentrated in the coastal regions. Packiyachandran belonged to a little –known sub-caste called Thanakkarar living mainly in Uduppiddy. This social group today is a highly educated community that is well –integrated into Jaffna society. There are various theories about the social history of this group. One is that it is a small trading caste tracing its origins to the Thana Vaisya Chettiars in India. The other is that of their traditional occupation being the keeping of Elephants. Simon Casie Chitty refers to the “Thanakkaarar” community as Elephant keepers in the “Ceylon Gazetteer”. Prof. A.J. Wilson in his book “ Sri Lankan Tamil Nationalism: Its origins and development in the Nineteenth Century “ , describes the “Thanakkarar “ as being managers of temple property and also as people who traded in elephants. The Thanakkarar community in Udupiddy is concentrated in the Veerapathira Koyiladdy, Mottaipulliyady and Vasigasalaiady areas. Interestingly, older members of the Thanakkarar of Udupiddy claim that they are superior to both Vellalas and Karayars socially.Whatever be the merits or otherwise of such claims, it is certainly a fact that the community enjoyed some power and influence in the Uduppiddy vicinity in those days. The emphasis on this community becomes necessary to understand Packiyachandran/Sivarasan’s family background and his particular political evolution within the Uduppiddy socio-political milieu. Young Packiachandran was inculcated with Tamil nationalist feelings at a very tender age by his father. Chandrasekharam Pillai, although an English scholar, was a staunch supporter of the Ilankai Thamil Arasu Katchi(ITAK) known as the Federal Party in English. In later years when the ITAK atogether with the All Ceylon Tamil Congress(ACTC) formed the Tamil United Liberation Front(TULF), Chandrasekharampillai began supporting the TULF. In adopting this political stance ,he strayed from the beaten track of politics in Udupiddy. The political star of Udupiddy in those days was a leftist called R.R.Dharmaratnam who belonged to the ‘Trotskyite’ Lanka Sama Samaja Party(LSSP). The people of Udupiddy were not enamoured of the political philosophy of Leon Trotsky, but they strongly supported the ‘son-of-the-soil’ Dharmaratnam when he contested the Udupiddy parliamentary constituency. The votes from Udupiddy town, however, accounted for only 11 percent of the total Udupiddy electorate. Dharmaratnam never won, but he always gained the electoral support of the people of the town. Chandrasekharam Pillai however, defied the local current and supported the Tamil nationalist candidates K. Jeyakkody of the Federal Party and T. Rasalingam of the TULF, against Dharmaratnam. His young son imbibed Tamil nationalist feelings from his father at the age of 12 during the 1970 elections. In 1977 the 19 year old Packiyachandran supported the TULF’s Rasalingam a member of the so called Tamil depressed caste group.This tendency of the family to defy local opinion in politics incurred the displeasure of the people of Udupiddy. This tendency or trait became more pronounced later when Packiachandran joined the LTTE and incurred the wrath of many a Udupiddy resident. Packiyachandran was a clever student while studying at the Uduppiddy American Mission College. He had an aptitude for languages and passed his General Certificate of Education (Ordinary Level) examination with flying colours. He was studying for the GCE Advanced Level which may have enabled him to enter the university, when suddenly his father died in late 1977.Being the eldest child, he had to bear the family burden and dropped out of school. The family paid a large amount of money to an agent from Udupiddy who promised Packiachandran a lucrative job in west Asia. The agent defaulted and the young man became extremely frustrated. He then entered government service as a worker attached to the Electricity Board. He served as an Electricity Board employee in Trincomalee and Batticaloa in the Eastern Province for some time. 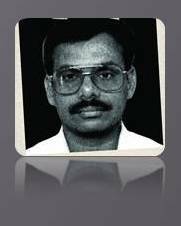 While working in the East, Packiachandran was once arrested for distributing leaflets containing pro-Tamil Eelam views. While in custody, he scribbled ‘Long Live Tamil Eelam’ slogans on the walls of his cell and his plate. He was severely assaulted for this and had to be hospitalized. Later, in Jaffna, he was arrested once again for posting Tamil Eelam posters and was detained at the Jaffna Fort Camp prison. When the large-scale anti-Tamil violence occurred in July 1983, Packiachandran was apparently locked up inside the Dutch Fort. He was released shortly afterwards and promptly joined the ranks of the newly emerging Tamil militant groups. Strange as it may seem, Packichandran’s first choice among militant outfits was the Tamil Eelam Liberation Organisation (TELO) and not the LTTE. There had been for several decades an undercurrent of hostility between the people of Valvettithurai and the people of Udupiddy. The LTTE was then seen as a Valvettithurai centric organization. Though the original leaders of TELO, Thangathurai, Kuttimani and Jegan were from Thondaimaanaaru and Valvettithurai (VVT), the TELO was more acceptable to Uduppiddy youths. Moreover the TELO leadership trio of Thangathurai-Kuttimani-jegan had been killed gruesomely in the Welikade prison massacre. This created much sympathy for TELO.The new TELO leader was Sri Sabaratnam from Kalviyankadu, whereas the top leadership of the LTTE was essentially from Valvettithurai. So most Uduppiddy youths preferred the TELO as opposed to other groups because of the Thangathurai-Kuttimani – Jegan “martyrdom” factor. Packiyachandran joined TELO and left for India in October 1983. He is said to have received military training at a camp near Kumbakonam in Tamil Nadu. He was then posted to the propaganda wing of TELO and interacted with a lot of students in Tamil Nadu as well as Kerala, Karnataka and Andhra Pradesh. Fluent in English, Packiachandran also had a smattering of Malayalam, Telugu, Kannada and Hindi and was able to speak Tamil with a “Tamil Nadu” accent if and when necessary. While in the TELO, Packiachandran was closely associated with the group’s Valvettithurai component. Unlike most Udupiddy youth, Packiachandran had great rapport with the VVT group. His political mentor within the TELO was Mano Master who was also from Valvettithurai. Soon problems arose within the TELO and a large number of Valvettithurai youth led by Mano Master broke away, left South India and returned to Sri Lanka in late 1984. Packiyachandran or Sivarasan was one of them. Back in Sri Lanka, Mano Master continued to function with the TELO label, claiming he was the rightful heir to the Thangathurai-Kuttimani tradition, Packiachandran, while still sympathetic, no longer functioned within the Mano Master –led faction of TELO. When TELO robbed the Kilinochchi bank, the LTTE reacted sharply. Mano Master was killed by Ravindran alias Pandithar, the then LTTE leader. With Mano Master’s death, Valvettithurai became the sole monopoly of the LTTE. TELO militants from VVT either dropped out of militancy, or joined the LTTE. Packiyachandran, along with other ex-TELO militants like Sathi, Ramesh, Rangan and Babu, joined the LTTE. His new LTTE nom-de guerre was Raghuvaran but he also used the name Raghu at times. He functioned for a long time within the political wing and was responsible for the collection of funds from Udupiddy and adjacent areas.Packiyachandran was, according to Uduppiddy residents, extremely ruthless in extracting money. Uduppiddy was not traditionally supportive of the Tigers and Packiachandran was the only person from his clan who was a senior member of the LTTE. This did not endear him to many. He is reported to have virtually terrorized the local population, at times even pointing a gun at the victim. He was apparently impartial in this fund collecting, on one occasion sizeing (SL) Rs. 25,000 from the dowry money of an aunt on her wedding day and diverting portions of the wedding feast to nearby LTTE camps. An uncle who had just sold some property found his Tiger nephew appropriating one lakh of rupees. Raghuvaran also earned the hatred of Uduppiddy residents for his part in the killing of Pooranashanthi, the widowed mother of five children who was allegedly an informant working for the IPKF. Although Raghu did not kill her personally, he is said to have warned her one day before her death. The children were accommodated in an orphanage and the people of Uduppiddy town people were very angry over the whole affair. Another killing, that of an Uduppiddy youth Kumaradas, who belonged to a rival militant group, was also ascribed to Raghu. Packiyachandran alias Raghuvaran is also reported to have warned his first cousin who was an ex-TELO militant to flee the country shortly before the LTTE declared war on the TELO in April 1986. The man took the cousinly ‘advice’ and is now in the West. According to informed sources, Packiachandran alias Raghuvaran/Raghu seems to have been the ‘visible target’ for the subterranean hostility in Uduppiddy towards the LTTE. His own high-handed behavior, on top of the maverick attitude of both father and son, has contributed to this sentiment. Raghu’s unpopularity in his native place can be gauged by an Uduppiddy woman’s reaction upon hearing that ‘Sivarasan’ was dead. The woman living in Toronto quoted from the ancient Tamil poet Auvaiyar’s Kondraiventhan – ‘Oorudan pahaikkin verudan kedum’ (‘Incurring the enemity of the village will result in destruction down to the roots’).However even Packiachandran’s many detractors from Uduppiddy said that he did not smoke or drink – at least publicly. Also, he was not known to have had any romantic relationship with any woman or women in Sri Lanka. In May 1987, Raghuvaran was injured in a clash with the Sri Lankan armed forces near the Jaffna Fort. This was the time when the army launched “operation liberation” in which the Vadamaratchy region of Jaffna peninsula was re-captured by the armed forces. Among other injuries, Raghuvaran’s left eye was also affected. The Indo – Lanka agreement was signed by Indian Prime minister Rajiv Gandhi and Sri Lankan president JR Jayawardene on July 29th 1987. This paved the way for Indian troops to be stationed in the Northern and Eastern provinces of Sri Lanka under the nomenclature of Indian Peace Keeping Force (IPKF). Initially a seemingly friendly relationship prevailed between the IPKF and LTTE. This however changed drastically after open war erupted between the LTTE and IPKF on October 10th 1987. However during the brief period of cordiality a very large number of injured tiger cadres were taken to India aboard Indian aircraft for medical treatment. Raghuvaran too was taken in an Indian helicopter to Tamil Nadu. He received treatment for his eye injury at the Aravind eye hospital in Madurai. Despite treatment he lost his left – eye permanenty. Thereafter he wore a plastic eye. In order to cover up his left eye Raghuvaran began to wear tinted glasses most of the time. Still this did not deter his comrades from referring to him in lighter vein as “Otraikkannan” or one –eyed person. When the confrontation with the Indian army began in October 1987, Raghu is said to have shifted from the peninsula into the Eastern province. He came back to the North in early 1988 and functioned under the Vadamarachchi commander Ruthrapathy Sridhar alias Major James of Valvettithurai.On one occasion, Major James launched a successful attack on an IPKF sentry post. The first rocket-propelled grenade was fired by Packiyachandran alias Raghuvaran. Later, when Major James was summoned by LTTE supremo Prabhakaran to the jungles of the Wanni for consultations, Raghu functioned for about a month as acting Vadamarachchi commander. Despite this, Raghu was not promoted and continued to be a lieutenant in the LTTE. Mystery began surrounding Raghu’s movements as the departure of Indian troops from North – Eastern Sri Lanka commenced on a staggered basis in 1989/1990. Packiyachandran was not sighted in Uduppiddy or elsewhere in the north from that time onwards.One view prevalent at that time was that Packiyachandran had been sent to Batticaloa. According to that version, he had bungled some assignment relating to the Muslim population and had been ‘thrown out of the movement’. He had then left for India. Another version about Sivarasan was that he had ‘dropped out of the movement’ in late 1989 or early 1990 and left for India. These led to many theories about Packiyachandran alias Raghuvaran’s role within the LTTE at that time. What had really happened was something totally different to the different rumour versions. Raghuvaran was transferred from the military wing to to the LTTE intelligence wing that functioned under Pottu Ammaan. He was promoted as Captain and given a new nom de guerre “Sivarasan”. Capt . Sivarasan of the LTTE intelligence division was entrusted with specific assignments to be undertaken clandestinely in India. Among these were the expansion of the LTTE intelligence network in India and the setting up of safe houses in Tamil Nadu. More importantly he was tasked with an assassination assignment. The target was Kanthasamy Pathmanabha alias Naabhaa a.k. a. Ranjan who was the Secretary – General of the Eelam Peoples Revolutionary Liberation Front (EPRLF). A blueprint to assassinate Padmanabha on Indian soil was devised by Sivarasan in consultation with Pottu Amman. This entailed the deployment of a “spy “ in Chennai to monitor EPRLF movements. Sivarasan was entrusted with the selection and stationing of this spy in the Kodambakkam area of Chennai where the EPRLF had an office. The spy Suthenthirarajah alias “Sinna Santhan “ was handpicked by Sivarasan who also “handled” him. The spy did his work well and provided accurate info. On June 19th 1990 an LTTE hit squad including Kiruban and One –eyed Sivarasan stormed into an apartment in Zacharaiyah colony, Choolaimedhu and killed Padmanabha and 12 others. These included former North – Eastern provincial council finance minister Kirubakaran and EPRLF Jaffna District MP Yogasangari. The hit squad members along with the spy were successful in making a getaway back to Sri Lanka after hi-jacking a vehicle to reach the coast. The assassination of Padmanabha and 12 other EPRLF members was the first operation of this type to be undertaken by the LTTE outside Sri Lanka. It was a blatant act of terrorism committed on Indian soil by the tigers. The LTTE hierarchy however was elated by the successful assassination. Sivarasan was personally congratulated and praised by Prabhakaran and Pottu Ammaan. The LTTE leadership was confident that one –eyes Sivarasan was capable of planning and executing major operations in India. The Padmanabha assassination also whetted the LTTE appetite for more assassinations on Indian soil. Without any thought about potential consequences, Prabhakaran and Pottu Ammaan decided to assign Sivarasan the task of masterminding the assassination of Rajiv Gandhi. The groundwork required for the diabolical plot began to be laid by Sivarasan. Unlike the Padmanabha assassination where firearms and grenades were used, another new method was to be used to kill Rajiv Gandhi. The idea was to make a mystery of the assailant so that blame would not be attached to the LTTE.For this the would be assassin had to be within close proximity to Rajiv Gandhi.Opportunities to gain easy access to Rajiv became available with the announcement of fresh elections to the Indian parliament. A broad conspiracy to murder Rajiv Gandhi was hatched in Northern Sri Lanka by tiger supremo Prabhakaran , Intelligence chief Pottu Ammaan, LTTE woman’s intelligence unit head Akhila and Sivarasan who was also entrusted the responsibility of executing the assassination on Indian soil. He was given full authority by the LTTE hierarchy to devise the assassination scheme and deploy necessary personnel required.LTTE operatives and key supporters in India were instructed to obey all orders issued by Sivarasan. He was also given an ample amount of “gold biscuits” to be cashed in India to cover expenses incurred. 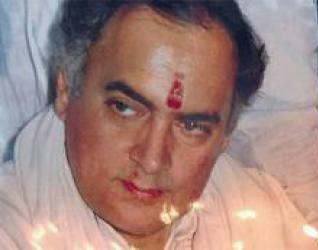 Rajiv Gandhi was murdered at Sriperumbudur in Tamil Nadu on May 21st 1991! How the assassination was planned, coordinated and executed by One–eyed Sivarasan the mastermind behind Rajiv Gandhi’s assassination would be described in detail in the forthcoming second part of this article.